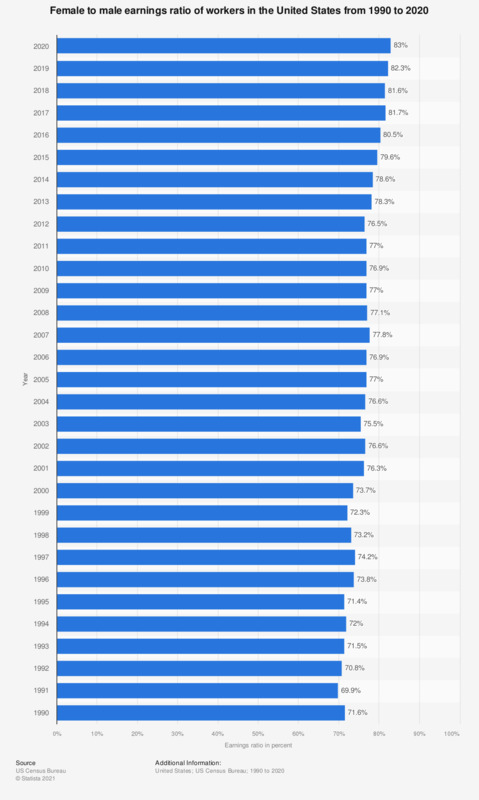 The statistic shows the female to male earnings ratio in the U.S. from 1990 to 2017, based on earnings in 2017 CPI-U-RS adjusted dollars. The ratio in 1990 was at 71.6 percent, which indicates that a regular female worker earns about 72 percent of the amount a male employee in the same position would receive. Everything On "Wage inequality in the U.S." in One Document: Edited and Divided into Handy Chapters. Including Detailed References. Statistics on "Wage inequality in the U.S."